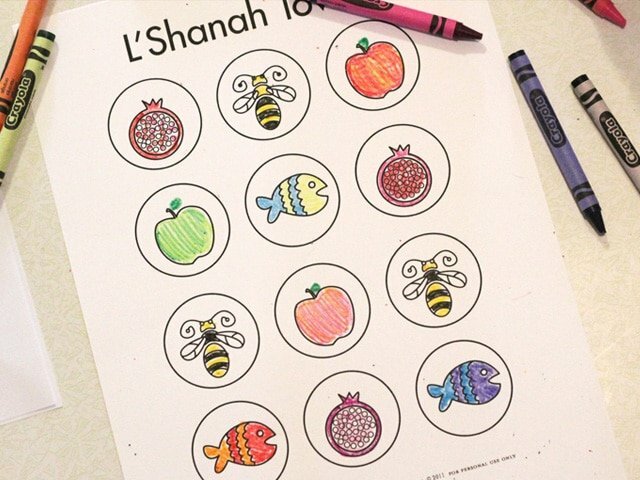 Here’s something fun to keep the kids busy while you’re finishing up those last touches on your Rosh Hashanah dinner: a coloring sheet for Rosh Hashanah! 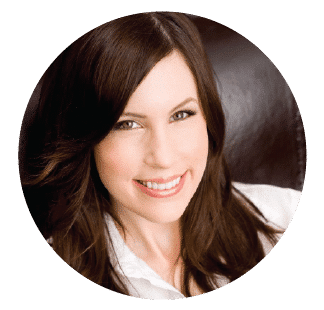 Simply download and print: click here! Then add crayons, kids, and fun! Staying in the lines is optional. From here you can cut out the circles (I used a circle punch because my hands get tired) and make them into a necklace, like we did. Just punch two small holes in the top of each circle and string the circles together with some jute or twine. 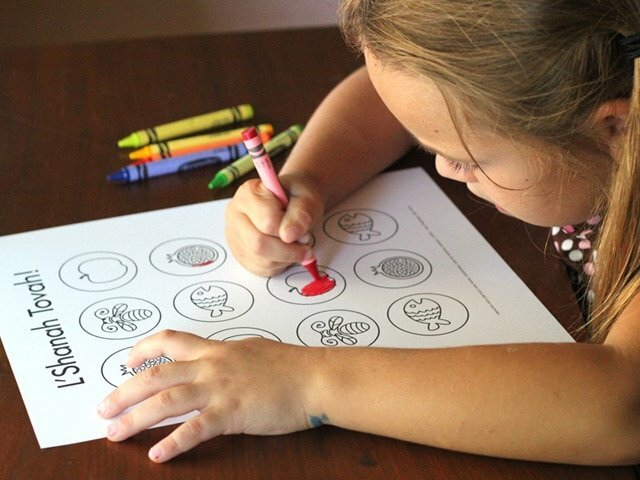 You could also use the cut out circles to play a matching game, like Memory. If you are not familiar with Judaism, this document will help you explain Rosh Hashanah to your child. 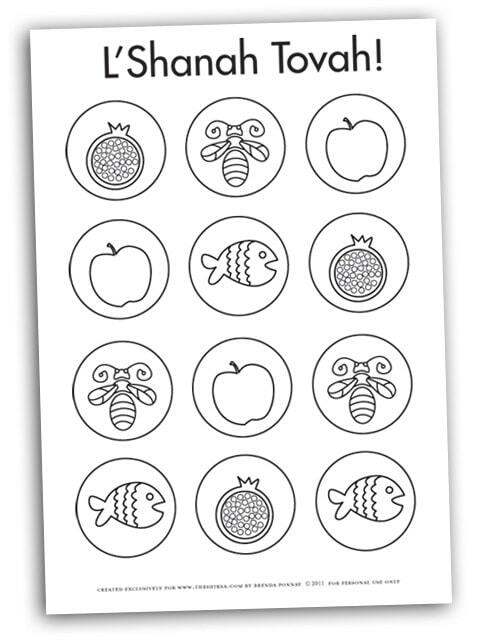 It also explains why the symbols on this coloring sheet are traditional for the Rosh Hashanah holiday. To learn more about the Jewish holiday of Rosh Hashanah, click here. 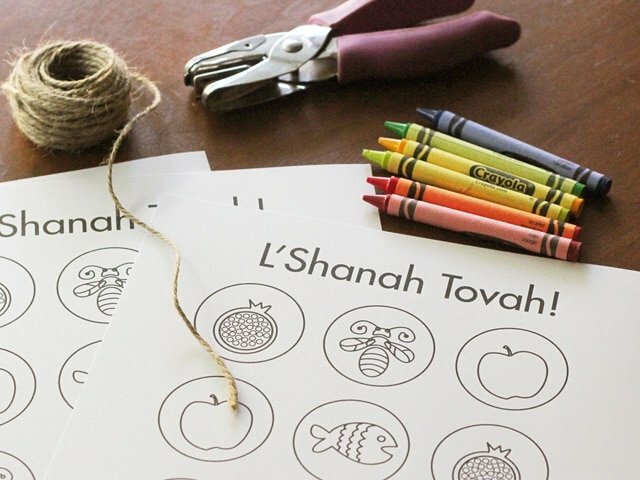 For more Rosh Hashanah crafts, click here. Thank you for this! Stay at home dad here, looking for a good way to explain this. My Daughter will really enjoy the coloring necklace project! 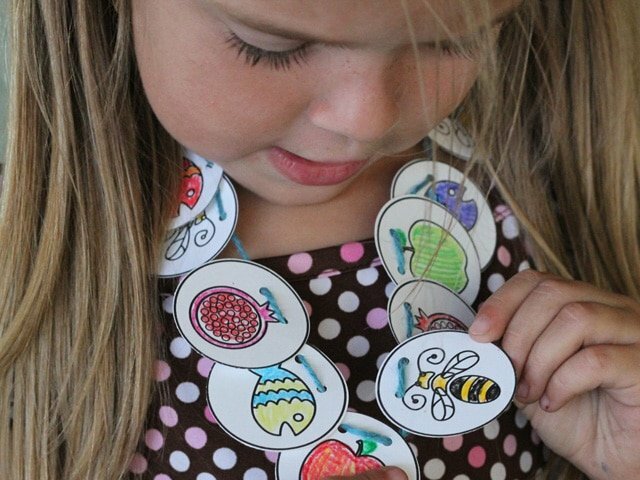 I love the idea of turning the coloring project into a necklace! That’s so cute! Okay, now I have to click through and educate myself on the symbols…all because of Bug’s cute coloring project. 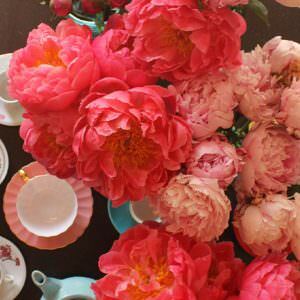 Way to go — very, very cute. Great print-out!